Look up PowerPipe. I believe they sell it a Home Depot. Only issue I could see with this is the pressure drop thru the heat exchanger. I don't see any solution that won't clog up that would transfer any meaningful percentage of heat to get a payback. Plus a lot of the energy is latent heat, so you'll have a condensation and frost issue as well. Honestly, if you have the newer style hoods with makeup air at the point of exhaust, you mostly eliminate the preheat requirement for the makeup air. How many walk in coolers and freezers do you have? We can install a small refrigeration rack with heat reclaim. Here is a guy from the past with a new address. Going after the kitchen heat is tough. There is a lot of grease involved. The heat from your coolers and freezers is much hotter and may heat most of your water. There are used by many. How did that attic in Iowa turn out? I ended up moving to Michigan. Bought 2 homes there. Replaced 1 AC and furnace and downsized it in half. Super comfortable now. Then moved back 2 blocks away from my previous house. Now I have a 1 pipe steam vapor system that I’ve got purring like a kitten at <0.5oz with 2 heat pumps systems added for central air and shoulder season. It’s a 1905 3300sqft brick victorian. Full basement with cut stone foundation. Original windows. Full unfinished attic with 13’ ceilings in the middle. Have another unvented attic. Try something different that I’ll have to detail at a later time. Big news is I’m seriously looking at finally becoming a service tech. More on that later. Do they have Home Depot in London? And there are different sizes. Problem i see is the contact of the drain water and the time of contact running through and total surface area being touched. 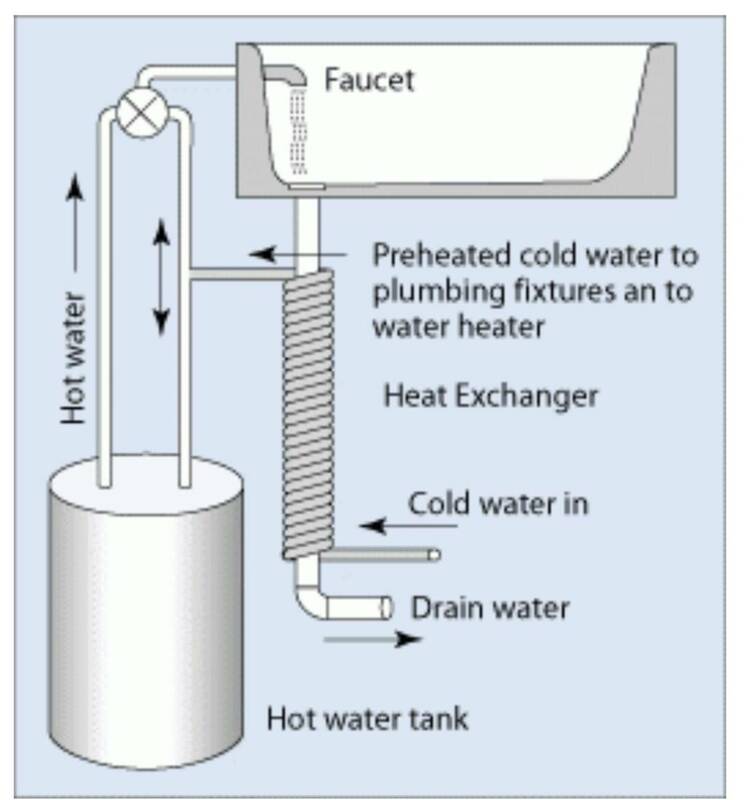 Piping it in a trap configuration might create drain problems with the drain system.